Saleshni Vandana says her joy comes from making her parents proud. “Work hard to achieve more than what you are required to and make your parents proud,” she said. Saleshni Vandana says her joy comes from making her parents proud. “Work hard to achieve more than what you are required to and make your parents proud,” she said. Ms Vandana yesterday graduated with a Bachelor of Nursing Science Post Registration from the Then India Sanmarga Ikya (TISI) Sangam College of Nursing and Health Care Education. She also received the Academic Excellence in Integrated Nursing Practice award and Academic Excellence in Nursing Inquiry and Spiritualty. Though her parents could not make it to her special day, the 28-year-old from Tabia says, she cannot wait for them to see her spoils. “My mother, Keshar Kumari, 53, couldn’t attend my gradation because she is ill and my father, Ravi Chandra, 55, a sugar cane farmer is busy harvesting cane,” Ms Vandana said. The nurse of Nabouwalu Health Centre in Bua was selected among the 70 graduates to receive these awards. “I sacrificed a lot to finish my post registration,” the second youngest of five siblings said. 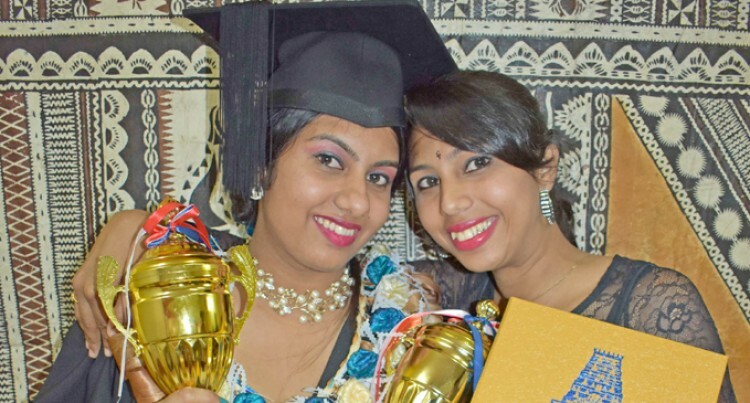 “I used to travel on a three-hour bus ride one way from Nabouwalu nurses quarters to Labasa to attend my classes and then return by the afternoon. “Sometimes it was so difficult to take out time to visit my parents. “Such struggles motivated me to study hard and make my parents proud. Altogether there were 81 nurses who graduated from the college. Of these 70 graduated with Bachelor of Nursing Science Post Registration while 11 graduated with Post Diplomas in Mid Wifery.